The Election Day-inspired sales continue to flutter in, including this mega sale at Malgosia through Sunday, November 9, offering 50% off the entire store. 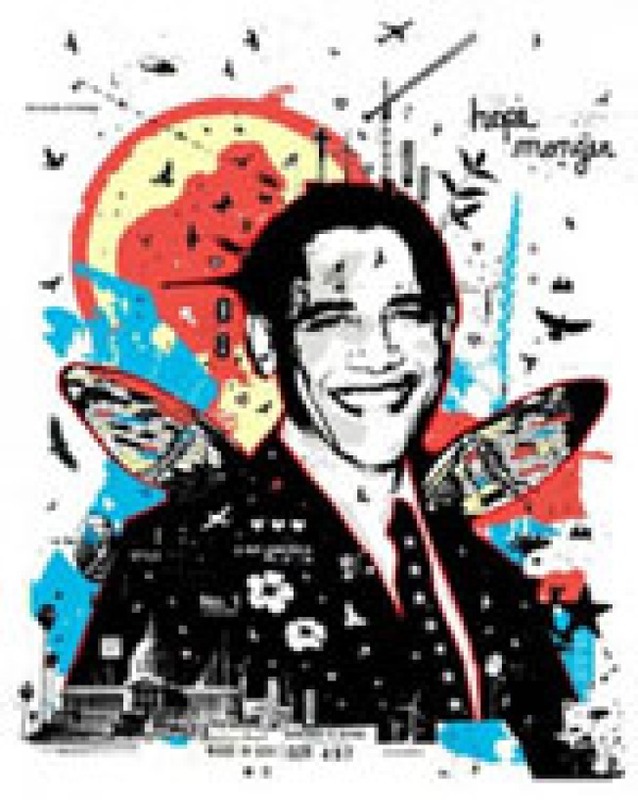 Alongside this illustration of a be-winged Barack, the boutique also emailed a letter to customers outlining its efforts to be socially and politically aware: "instead of being 'just another boutique' with beautiful luxury items or carrying the latest trend in fashion, we’ve tried to utilize the store as a platform for social and political messages." We've seen the Obama windows, but we also learn the shop has been working with CARE, an org to empower women, and carries designers who "employ fair trade practices and produce hand-made exquisite items. The antithesis of mass-produced 'labels.'" To take advantage of the 50% off, mention code 'Hope Monger' or enter 'HOPEMONGER' online. And we just hear from Bleu boutique on La Brea that today an 'I Vote' sticker gets you half one one item in-store. Also, M.Fredric has added an online deal component to its Election Day sale: enter 'VOTE2008' today only and receive 20% off entire purchase.